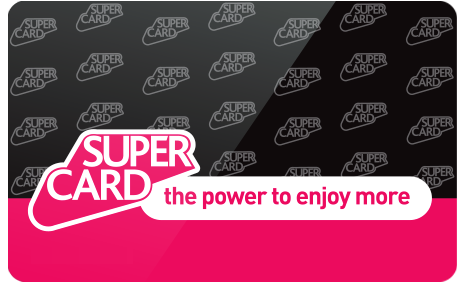 Supercard is a brand new type of membership scheme, packed with proper discounts and genuine freebies across some of the UK’s best-known brands. Restaurants, shops, theme parks, gyms… the lifestyle you deserve has never been so affordable. Say hello to the super new you! Company: Supercard Worldwide Limited. Registered office: 124 Finchley Road, London, England, NW3 5JS. Registered number 10297568. Supercard Worldwide Limited are appointed representatives of Oddie Dalton & Co Ltd. Oddie Dalton & Co Ltd is authorised and regulated by the Financial Conduct Authority (FCA). Registered number 306267. You can check this on the Financial Services Register by visiting www.fsa.gov.uk/register or by contacting the FCA on 0800 111 6768.